Hi everyone! It’s been a busy few months since my wife and I got our puppy Kinako. When we first got her in November she weighed 10 pounds. Now she is clocking in at 50 pounds of Goldern Retriever! That’s a lot of dog. Some have said raising a dog is in many ways harder than raising a baby, as the dog is quite mobile and active even after a few weeks. After the potty training, the teething, the destroying of property, getting spayed, and a few weeks of puppy school, I think our family is now starting to sort things out into less chaos. I am still teaching and practicing. In fact this past weekend I was lucky enough to sneak away from subbing duties to attend a part of Kofi Busia’s workshop at the East Honolulu Yoga Center. If you have read my other entries about Kofi’s classes, he pretty much gets you settled into a posture and then lectures about a wide range of topics that somehow relate to the asana you are doing. He compared the design of a hammer to that of a mallet and cited the obvious refinement of the hammer design to that of the clunky mallet. He spoke of the designer of the modern weighted hammer, a blacksmith who was only interested in refining the design of an established tool. I was too busy maintaining my dandasana to get the name of the inventor who Kofi mentioned several times. But after thinking about it after class, it is an obvious parallel to BKS Iyengar who saw the asanas that was being practiced, and refined them to be more impactful. There were a lot of other deeper gems from the workshop, but that was the only one my mind had clung to. From that small dissertation, I was inspired in many ways not just about yoga, but about other aspects of my life. The common thread is that the hammer designer, the ice axe designer, the golf club designer, and Iyengar all saw what was hiding in plain sight and refined it to paradigm shifting usefulness. The garden is still going well. Above are Meyer lemon blossoms which will lead to fruit late this year. Gardening with a dog is challenging. Especially given her predilection for flower pots (the kind with flowers still in them). They are by far her favorite toys probably due to their destructiveness when hurled against things. You learn to not get too attached to your favorite plants. I’ve had to install fencing around parts of my garden to keep her out. Sometimes I’ll see a plant missing and dug up, only to find its rooty shreds underneath my blanket along with a flower pot just before bedtime. I can’t get mad, it’s some twisted form of a love offering. I can honestly say I haven’t had a matching pair of socks since getting the dog. Sometimes I find a long lost argyle when watering my basil. I haven’t laughed this hard at personal loss in a long time. Bitter melon, daikon, basil in a mulch of grass. Probably a few socks in there too. This entry was posted in Uncategorized and tagged gardening, Golden Retrievers, Iyengar yoga, Kofi Busia, yoga on March 12, 2019 by yogibattle. Very sad news from Pune. Geeta has passed two days after her father’s centennial celebrations. The world of yoga will mourn the loss of this legendary practitioner and teacher. 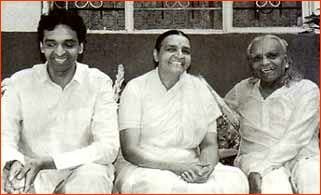 My heart goes out to the Iyengar family, and all of my teachers who directly learned from her. Geeta has written several books on yoga including Yoga: A Gem For Women, and has been instrumental in the teaching curriculum for Iyengar teacher assessments. This is a significant loss for all of us. This entry was posted in Uncategorized and tagged Geeta Iyengar, Geetaji, Iyengar, Iyengar yoga, yoga on December 16, 2018 by yogibattle. 2017 was probably one of he most difficult years I’ve had in a long time. I was coming off the heels of two significant family losses in 2016: my grandmother and father-in-law. It was also a year after my mom moved away to the mainland. Since my father-in-law passed, my wife and I share duties as caregiver for my mother-in-law who is in a wheelchair after a stroke in her 50s. This includes being woken up in the middle of the night several times to take her to the toilet. To cap off the difficult year, I didn’t pass the Junior Intermediate I assessment I had been preparing for in the four years preceding. I felt I let my teachers down, my family down, and my students down. I thought in many ways 2018 would also be a difficult year. We started the year with a false alarm missile alert. We also had two major hurricane scares so far. Sleep depravation is a constant. Plus I am busy juggling a full time job with teaching yoga classes. As I have stated before, there is a regression toward the mean. That means when things are really bad, they don’t stay really bad forever. Things started to take a turn for the better when my mom visited in July. She stayed with my wife and I which was unusual because all these years we lived near each other, and when I was in college I would stay with her. My mom would go to the beach every day and invited me to go with her. She reminded me that going to the beach is a major coping skill that I haven’t utilized for years. Throughout all the past years of stress, I have developed a mantra practice. Before I went for my assessment last year in LA, I did my own puja to Saraswati. She gives those who are trying to study boons to help them. When I didn’t pass, I was perplexed. I wanted to be upset, but I felt that Saraswati was trying to teach me something deeper than just passing a test. I feel she was trying to completely transform me to be ready for something bigger. I also held puja for Ganesh and Hanuman. Ganesh clears the obstacles in one’s way. Hanuman has all the yogic powers and demonstrates how to use them for the good of humanity as he has done in the Ramayana. There is a passage in the Ramayana where Rama is distraught after his wife has been kidnapped. 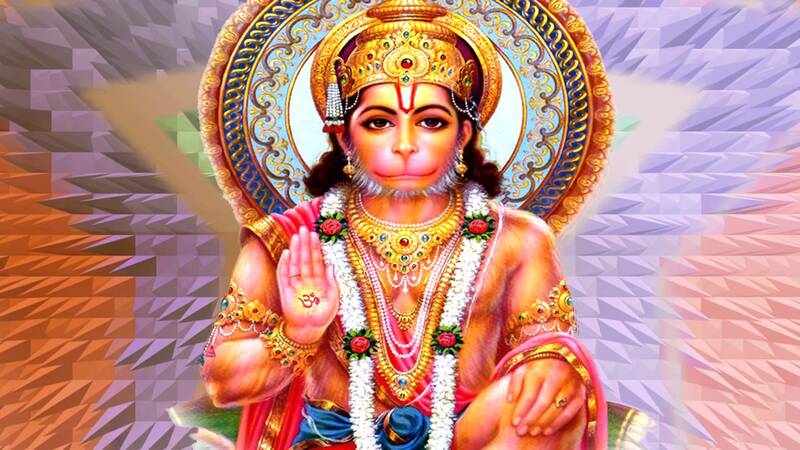 That is when Hanuman first appears to him and gives him hope. In the same way, these mantras have given me hope when I listen to them and recite them that good news is on the way. There are so many times I wanted to quit. There was even one time I considered canceling my airline ticket. My wife would not allow me to do so. She has been one of my best supporters through this whole process, even though she is equally fatigued with caregiving if not moreso. About a month before the assessment, she got good news that her brother was able to take care of her mother during the time of my trip. She was able to come with me! It had been a few years since we were able to travel together. The assessment journey turned into a wonderful week’s vacation. My wife and I finally got a chance to enjoy each other without caregiving duties. We had such a blast! Since my trip, I do feel transformed. I feel very relieved to have passed this test. Even if I didn’t pass, I feel that the hardship I have been facing isn’t so much gone, but now more manageable. My mantra practice is not as intense as it was before my assessment, and I miss it (even though I still practice). I even have to admit I put more into my mantra practice than my asana practice. But now I see how much it made sense for me at this time. As the Ramayana has many twists and turns, Rama prevails in the end with the help of his wife, his family, and his spiritual faith. I feel that Saraswati now smiles at her handiwork. This entry was posted in Uncategorized and tagged Ganesh, Hanuman, Iyengar yoga, mantra, Saraswati, yoga on September 28, 2018 by yogibattle. I don’t write much about teaching yoga. I find it in many ways a completely different skill set than practicing asana and pranayama. Way back when, my initial motivation to teach was to build community. I always saw my actual 9-to-5 job as the way to make money to subsidize my yoga teaching. To this day, that continues very much to be the case. Fifteen or so years ago, I took over a teacher’s spot at a church in Honolulu. She taught Saturdays with a “love donation.” The church has since gone through many phases of leadership and I am now required to give 25 dollars for each hour I spend in the room. There are some Saturdays that I have to cough up $10 or so dollars to make up the difference. Other days I have found a crisp $100 bill in my donation bowl and nobody fessing up to it. Just like those statistics professors who sadistically make their students toss a coin and record each outcome to eventually reach .50 of even throws, I feel that somehow I have broken even after 15 years. It is the not worrying so much if I am making money aspect that has given me students who have stayed with me for many of those 15 years. It is very much more of a community than a class. Most of my students tend to be in their 60s and 70s. Many of the young ones don’t stick around as the next door vinyasa studio gives them what they seek. For most of my Iyengar training, I have fastidiously developed sequences based on the syllabus that I was learning and wrote them down following them to the letter. That all stopped when I didn’t pass my teaching portion of the Junior Intermediate I last year in LA. After that assessment, I was pretty distraught. I decided then that I should really just see who shows up and what they need and some how fit it into the clan of poses our studio is teaching that week (standing, forward bends, back bends, miscellaneous, and restorative/pranayama). I feel that is when I started making a lot of connections. If capable students come, I give them challenging poses. If students come who are not used to regular practice, I try to give them something they can learn and practice outside of class. I could not have made it to this process without all the years to writing my sequences down however. Just like one who learns times tables, it has to be something that you can recall by rote if needed. For now I am relieved and content that I have passed my test. I feel I can get back to the basics again. I recall somewhat resenting in my earlier days the basic-ness of the standing poses we had to learn in Intro I. Now I see that those poses are the true foundation of what I am practicing today and will be throughout my life. This entry was posted in Uncategorized and tagged Iyengar, Iyengar yoga, teaching, yoga on September 20, 2018 by yogibattle. I am writing this bit early, but want to commemorate the fourth year of Guruji’s passing on August 20. Sometimes when am in a conundrum about my teaching and practice, I will find one of Guruji’s videos on Youtube and just listen to him teach. He has very simple and clear instructions, but extremely precise timing on those instructions. Sometimes when I am teaching and feel I am rambling, I think about how simple his instructions would have been for the same concept and it slows me down. If you listen to his children teach you hear echoes of him. Geeta is very precise. Here she spends several minutes teaching just the base of tadasana. Her translator, Italian Iyengar teacher Gabriella Giubilaro, allows you to absorb the instructions. Prahsant is different. He says the name of the pose, expects his students to get into it then asks them to use their breath and kriyas to understand Yoga through their embodiment with very little reference to anatomy. In a two hour class he will only teach half a dozen poses. Students stay in the poses as he lectures. There are no videos of his teaching, but here is a lecture he gives about actions and perceptions in asana. This is another side of the coin in Iyengar’s teaching. As Iyengar’s students, we use asana as a platform to understand the whole of Yoga. Very much like using a boat to cross the river, once Yoga starts to be perceived, asana no longer takes the forefront, but the deeper intelligence which the asanas have taught us. As stated in my previous post about types of Gurus, the teaching of yoga isn’t so much the same teaching one would receive in a university where a subject is memorized and read about. Yoga is a personal technology which allows one to see his/herself as a manifestation of the whole and how to proceed accordingly in this embodiment in this short physical lifetime. 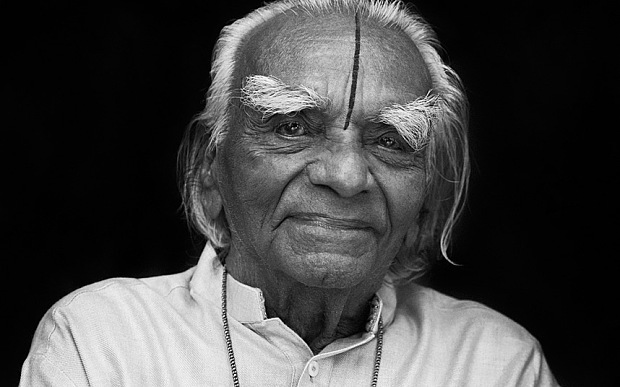 Iyengar was indeed the master of using this method of teaching us yoga. December 14 will mark Guruji’s 100th birthday. 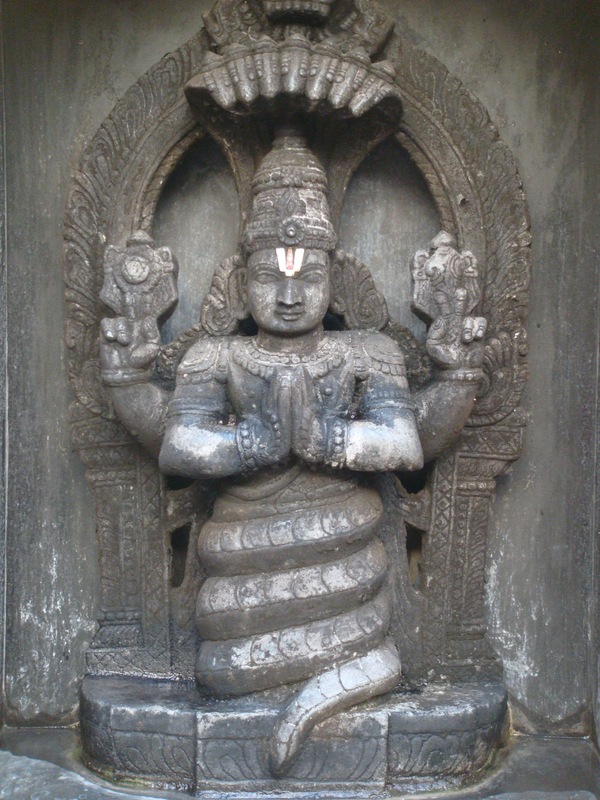 As a mark of this celebration, there is a petition to rename one of his hallmark poses, Uttāna Padma Mayūrāsana to Iyengarāsana. His longtime students overheard him saying he would like this asana to be one that people remember him by. Thank you for all you have given us. You are indeed missed. This entry was posted in Uncategorized and tagged BKS Iyengar, Geeta Iyengar, Iyengar, Iyengar yoga, Prashant Iyengar, yoga on August 11, 2018 by yogibattle. Tonight marks an auspicious evening as the last full moon in July correlates to Guru Purnima (literally Guru “fullness”) has traditionally been a time where sages would provide their wisdom to people for free as a karma practice. In one of Prashant-ji’s talks, he says that the knowledge the Guru teaches is not from the outside, like a history or science class, but has to stimulate the teaching from the inside of the student. He illustrates 12 different types of gurus in how they teach. The first type instructs students to go on a pilgrimage to holy sites to attain knowledge. The second type of guru transmits knowledge by being in close proximity the student. The third type is where teacher simply just needs to tell the student to transmit the knowledge. The fourth type graces the student. The fifth is “touchstone” guru where one touch from the guru transmits the knowledge. The sixth is “tortoise” guru, where a mere glance from the guru transmits the knowledge. The moon stone guru is named after a stone where during moonrise, water comes from the stone. In a similar way the guru can remotely teach the student from far away. The next is the mirror guru, where the student sees the guru like a mirror image. The next is the type where if the shadow of the guru falls on the disciple then the student gets the grace. The next is when someone hears just the voice of the guru, then the knowledge occurs. The next guru is one who just thinks of the disciple and then the knowledge comes. The sun stone guru is named after a stone where the sun causes flames to come out of it, similarly this guru’s sight will burn the impurities from the student. I am about a month away from redoing my assessment from last year, where I passed two portions (demonstrated practice and written test), but did not pass the teaching portion. I have been reviewing my notes over years of training. I reflect on what my teachers have tried to teach me through probably all of the methods mentioned above. I realized years ago learning yoga is not a linear process. You spend a lot of time on vast plateaus. You even backslide, unable to attain things you used to take for granted. But in losing those, you gain more unimaginable skills. I bow to the guru who creates, the guru who sustains, and the guru who destroys. I bow to the guru within, and the guru that pervades the universe. This entry was posted in Uncategorized and tagged Guru Poornima, Guru Purnima, Iyengar, Iyengar yoga, yoga on July 28, 2018 by yogibattle. As the summer solstice ushers in this new holiday, try this sequence developed by Geeta Iyengar. She starts the sequence with the invocation to Patanjali. Many blessings on this auspicious day! This entry was posted in Uncategorized and tagged Asana, asanas, Geeta Iyengar, International Yoga Day, Inyengar, Iyengar yoga, sequence, yoga on June 21, 2018 by yogibattle.